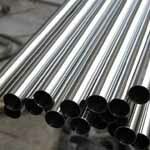 ASTM B163 Monel Tubing, Monel Seamless Tubes, Monel Round Tube, Monel Alloy Instrumentation Tubes Suppliers in Mumbai, India. 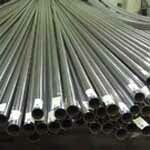 Monel Cold Rolled Coiled Tubing Supplier, Monel Polish Tubes, Monel Heat Exchager Tube, Monel Tubes Manufacturer in India, Exporter of ASTM B730 Monel High Pressure Tube. 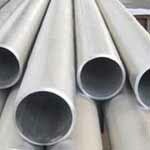 Ganpat Industrial Corporation offers Monel Alloy Tubes, which is composed of carbon, chromium, copper, iron, manganese, molybdenum, nickel, phosphorous, silicon, and sulfur. 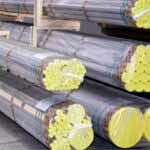 We also offer these products in different grades such as Monel Alloy 400 Tubes & Monel Alloy K500 Tubes. 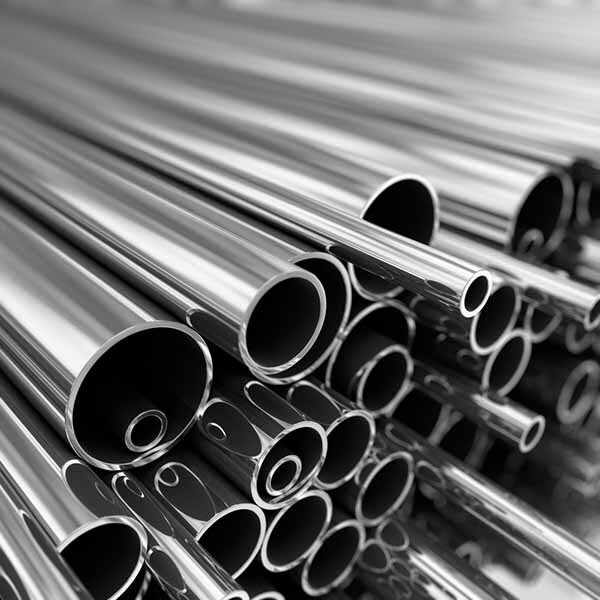 In addition, Monel Seamless Tubes is used in heat exchangers, mixing tanks, metal cleaning and pickling equipment, and piping. After hot working, anneal Monel Welded Tubes by heating to 1725 Degree F and 1850 Degree F for a minimum of 30 minutes per inch of thickness followed by water quench. 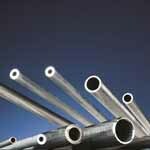 Monel EFW Tubes is an excellent option when chloride stress corrosion cracking is an issue and resists pitting and crevice corrosion. Monel ERW Tubes also is used for processing pharmaceuticals, food, gasoline, solvents, plastics, explosives, synthetic fibers and many other products. 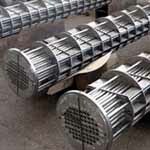 After a surface – hardening treatment such as carburizing (or nitriding for nitriding alloys), these Monel Round Tubes are suitable for parts that must withstand wear as well as high stresses. Some of these Monel Square Tubes find uses in exotic and highly – demanding applications, such as in the turbine blades of jet engines, in spacecraft, and in nuclear reactors. Because of the ferromagnetic properties of iron, Monel Rectangular Tubes find important applications where their responses to magnetism are very important, including in electric motors and in transformers. Whether tensile or yield strength is the basis of design, thermally treated Monel Electropolish Tubes generally offer high strength – to – weight ratios. 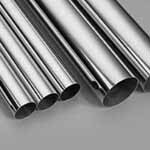 Monel Seamless Tubing, Monel Bright Annealed Tube Manufacturer in India, Monel Alloy Welded tubing, Monel Decorative Tube, Monel Seamless Tubing, Monel Santiary Tube, Monel Welded Tubes. 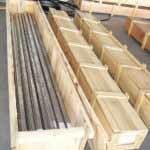 : 6 mm OD x 0.7 mm to 50.8 mm OD x 3 mm thk. 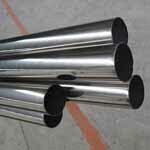 Monel Seamless Tube may be furnished bare or coated and with capped ends. tubes up to 3” OD will be supplied in bundles. 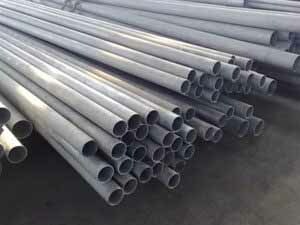 In order to prevent rust during sea shipment, bundles of Monel Seamless Tubes may be wrapped with polypropylene sheets, and secured with flat steel bands. Over 3” OD will be supplied loose. Ludhiana, Calgary, Hanoi, Visakhapatnam, Thiruvananthapuram, Algiers, Port-of-Spain, Doha, Navi Mumbai, Manama, Thane, Edmonton, Pimpri-Chinchwad, Abu Dhabi, Bogota, Rio de Janeiro, Perth, Lagos, Sharjah, Jaipur, Nashik, Caracas, Santiago, Milan, Courbevoie, Toronto, Karachi, Kanpur, Ernakulam, Tehran, Ranchi, Ankara, Singapore, Pune, Seoul, Hyderabad, Baroda, Chennai, New York, London, Haryana, Jakarta, Gurgaon, Moscow, La Victoria, Lahore, Istanbul, Dallas, Vadodara, Ahvaz, Bengaluru, Surat, Cairo, Mumbai, Rajkot, Ahmedabad, Ulsan, Atyrau, Nagpur, Riyadh, Dubai, Bhopal, Bangkok, Chiyoda, Faridabad, Hong Kong, Kuala Lumpur, Secunderabad, Al Khobar, Melbourne, Gimhae-si, Coimbatore, Colombo, Montreal, Dammam, Mexico City, Indore, Al Jubail, Busan, Geoje-si, New Delhi, Kolkata, Jamshedpur, Chandigarh, Muscat, Noida, Petaling Jaya, Jeddah, Los Angeles, Vung Tau, Sydney, Aberdeen, Kuwait City, Houston, Howrah, Granada, Ho Chi Minh City, Brisbane, Madrid. Bahrain, Saudi Arabia, Iraq, Afghanistan, Denmark, Taiwan, Argentina, Bulgaria, Australia, New Zealand, Nigeria, Namibia, Egypt, Germany, Nigeria, Canada, Pakistan, Qatar, Puerto Rico, Lithuania, Azerbaijan, Chile, Bhutan, Bolivia, China, Iran, Nepal, India, Poland, Ukraine, Malaysia, Morocco, Gambia, Tibet, Hungary, Angola, Romania, United Kingdom, South Korea, Austria, Ireland, Russia, Trinidad & Tobago,Tunisia, South Africa, Ecuador, Jordan, Spain, Kenya, Czech Republic, Serbia, Zimbabwe, Chile, Belarus, Portugal, Netherlands, Slovakia, Algeria, Macau, Israel, Indonesia, Kuwait, Poland, Japan, Switzerland, United Arab Emirates, Yemen, Lebanon, France, Finland, Vietnam, Ghana, Norway, Croatia, Gabon, Italy, Mexico, Sweden, Philippines, Libya, Sri Lanka, Colombia, Peru, Singapore, Estonia, Hong Kong, Belgium, Costa Rica, Mongolia, Greece, Kazakhstan, Thailand, Iran, Bangladesh, Brazil, Turkey, Mexico, Oman, United States, Venezuela.